The first actual runway show I attended was Tibi‘s and it was hosted at a cool new venue (with a bar attached, of course). The collection boasted black, blue and bright green with a whole lotta leather a thick knits. 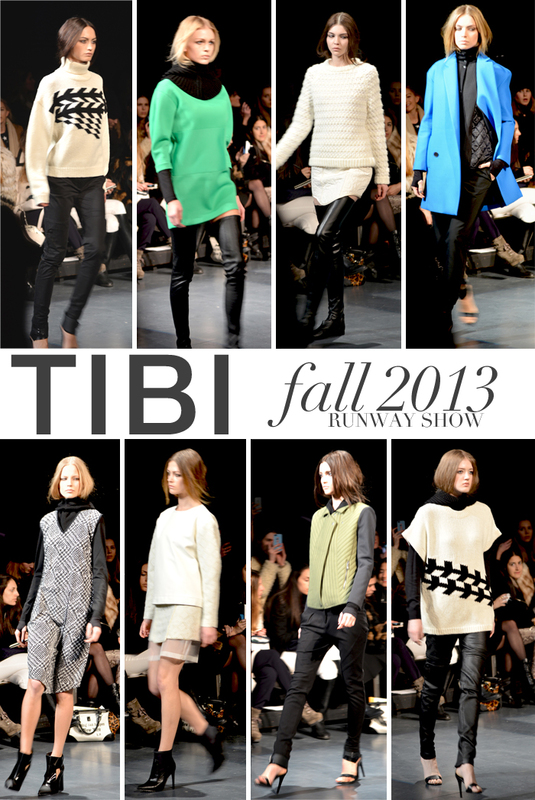 I see Tibi’s fall 2013 pieces being super comfy and cozy during the cooler months of the year. Also loved the styling – leather pants under dresses? Yes, please. Shop Tibi‘s gorgeously colorful spring collection here or here. PS – HAPPY VALENTINE’S DAY!! Wow I love that blue jacket !